Kiss My Apron: Wedding Countdown: 2 WEEKS! We are just less than two weeks away from getting married! It is a bit surreal, filling out paperwork with my new last name on it. Kevin and I are just about done with all the planning of things but we have a few more loose ends to tie, including appetizers! I will be preparing the appetizers myself before heading to a restaurant for dinner with our families. I do like the idea of Mushroom Bites, which I happened to make last New Year's Eve. They are easy to eat, and extremely flavorful - yummy, gruyere cheese! 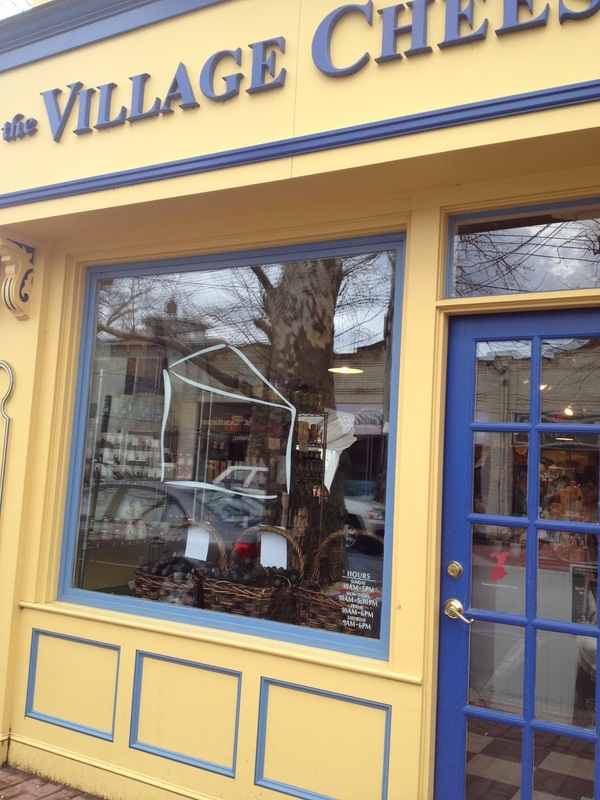 We took a trip to The Village Cheese Shop and had the most INCREDIBLE cheese ever! It will be a great (& expensive) treat for our families to try. The cheese is called Pecorino al Tartufo with pieces of truffle in it! Delicious and a must for our wedding. I highly recommend trying it! We picked up the last of our wedding favors today, which I cannot wait to share with all! Of course they are food & kitchen related. I also redecorated my cake stand to match our New Year's Eve "theme" since the most gorgeous little cheesecake will be sitting on it that evening. The colors of our wedding will be black, silver and gold - and anything sparkly! I won't give away anymore sneak previews. We look forward to sharing pictures from our day with you all very soon! I completely agree with you that wedding is an event where celebration and togetherness has always been considered as pillar blocks. A good location can make this celebration more special. Thus, we are looking for best wedding venues Los Angeles for my cousin’s wedding.